The 10 Best Retirement Activities in Rhode Island! 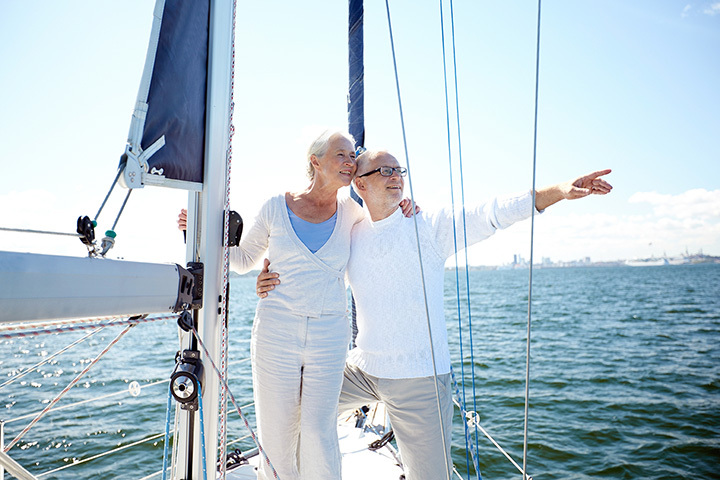 Make the most of your retirement! Now that you don’t need to work, it’s time to take on all the different projects you hoped to tackle. From volunteer work, to joining a writer’s guild, to practicing your photography skills, there’s more time to do what you love. Devote yourself to interests that have been percolating for years. For a start, here are some great ways to spend your time in retirement! On the weekends or mid-week, enjoy a meal with those who appreciate the finer foods in life. This inter-generational group tries an assortment of restaurants around the Providence Metro area. It’s a great way to share your love of food with others who take their pasta and wine as seriously as you do. The Rhode Island Interfaith Coalition to Reduce Poverty advocates for decent and affordable homes, good food and nutrition, and equal quality education for all! If those issues spark your interest, spend time volunteering with the group to support its many causes. If you’ve always loved to write but have never had the time, you can refine your skills with this local writing group that has been running since January 2009. Bring your writing to the meet-up, where you’ll go over short and long fiction, as well as memoirs, and offer constructive criticism to other writers in the group. Rhode Island has so much great nature to offer—take advantage of it with the L. L. Bean Outing Club, which offers adventurous tours and meetups. Recently, club members have enjoyed kayaking tours, stand up paddle board courses, and clinics to train you on making the most of the outdoors. Whether you’re an old analog pro or have caught up with the digital craze, this photography club will help you to practice your technique and come up with more creative subject matter. Club members have hosted everything from introductory Photoshop courses to outdoor photography to learning about how to use models and flash in a studio. Surrounding yourself with so many other creative people can be a great way to spend your retirement. Head out to the bay to go fishing! It’s a wonderful way to spend a sunny day out on the open ocean. If you don’t have a boat yourself, meet someone who does by joining a fishing club. They offer a news magazine with information on the best fishing tactics and spots in Rhode Island, too, so you can stay up to day with the information you need to find the best catches! Now is a great time to get involved in your community’s local politics scene! By volunteering for a candidate, you can directly affect local change where you live. Making phone calls, fundraising, or door-knocking for a campaign you believe in can also be extremely rewarding. It’s not too late to construct the dream home you always thought you’d live in! Rhode Island Kitchen and Bath is just one renovation company who can help you to bring your ideas into reality—or get more into do-it-yourself projects. You might end up pouring your sweat and tears into your home, but it will be worth it by the end. Hello Instagram! It's a Thursday night and #RIKB is hosting its April Seminar here in the showroom! The seminar is about the 10 Steps of Successful Kitchen and Bath Remodeling! Come join us to learn more about it or visit www.rikb.com to sign up for our next seminar in May! Many universities around Rhode Island offer continuing education courses for those in the community who wish to keep learning even if they haven’t been in school for several years! Sign up at Brown to audit a class, or just sit in on a lecture at Rhode Island College. It’s a great way to keep your brain working all throughout retirement! 10. Volunteer around Rhode Island! You can serve your state through Serve Rhode Island, a program established in 1994 and funded by the AmeriCorps program. Each year, the organization matches hundreds of volunteers with great opportunities that fit their interests and benefit the public! Volunteering can also be a great way to meet people who share your passions. The afternoon crew of volunteers helping clean up the recently devastated Misquamicut Beach area in Westerly, RI. Thanks so much for all your help!